Repair and recharge with the StriVectin Multi-Action R&R Eye Cream, designed to combat the five visible signs of ageing. Fast-absorbing and velvety-smooth, the formula uses NIA-114 technology to encourage absorption of restorative ingredients, while a subtle apricot tint helps to neutralise the appearance of dark circles. 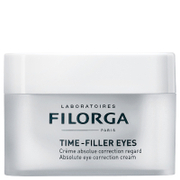 Formulated with Mimosa Tree Extract to even the skin tone and smooth out wrinkles and crow’s feet, the eye cream also utilises a Dual-Action Peptide Complex to soothe inflammation and create a firmer, more toned eye contour. 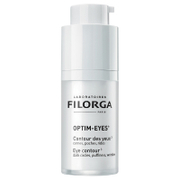 The result is a brighter, smoother eye area which appears youthful and well-rested. 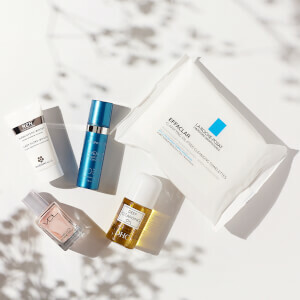 Apply a generous layer to clean skin in the AM and PM. Pat gently around the orbital bone for best results. Aqua (Water, Eau), Glycerin, Dimethicone, Isopropyl Palmitate, Helianthus Annuus (Sunflower) Seed Oil, Myristyl Nicotinate, Sodium Methyl Stearoyl Taurate, Glycol Distearate, Stearic Acid, Stearyl Alcohol, Caffeine, Allantoin, Alginic Acid, Palmitoyl Tripeptide-1, Sodium Hyaluronate, Palmitoyl Tripeptide-5, Asparagopsis Armata Extract, Dunaliella Salina Extract, Palmitoyl Tetrapeptide-7, Phenoxyethanol, Glyceryl Stearate, PEG-150 Stearate, Maris Aqua (Sea Water, Eau de mer), Ascophyllum Nodosum Extract, Persea Gratissima (Avocado) Oil, Vitis Vinifera (Grape) Seed Oil, Chrysanthellum Indicum Extract, Sucrose, Tocopherol Acetate, Acrylates/C10-30 Alkyl Acrylate Crosspolymer, Panthenol, Sorbitol, Butylene Glycol, Albizia Julibrissin Bark Extract, Ethylhexylglycerin, Disodium EDTA, Sodium Hydroxide, Steareth-20, Sodium Benzoate, Citric Acid, Potassium Sorbate, Chlorhexidine Digluconate, N-Hydroxysuccinimide, Mica, Pantolactone, Darutoside, Chrysin, CI 19140 (Yellow 5), CI 16035 (Red 40), CI 77891 (Titanium Dioxide), CI 77491 (Iron Oxides).